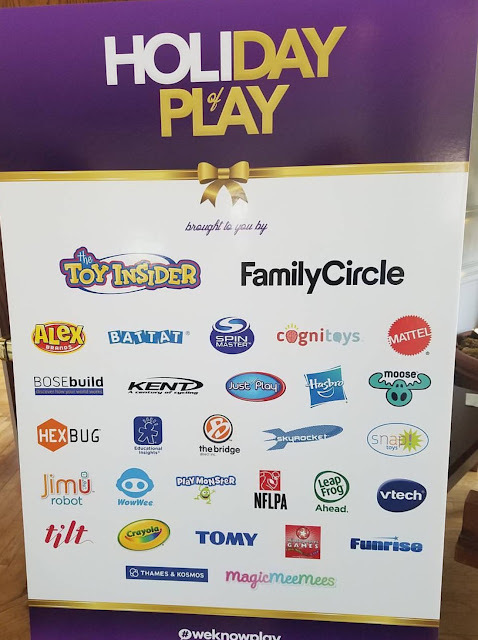 The Annual Toy Insider's Holiday of Play event took place this month. As a parent I want to know what is the best for the kids this holiday season, makes shopping easier and I know what toys we are investing in also. I want toys that will last longer than a week with the kids interest. I know my kids choices include many included on the these lists. We especially love the Code & Go Robot Mouse Coding Activity Set (Learning Resources), CHiP (WowWee), Hatchimals (Spin Master), Snuggles, My Dream Puppy (Moose Toys), and Disney Frozen Northern Lights Elsa (JAKKS Pacific). The Toy Insider‘s 2016 holiday gift guide will appear in the November issue of Family Circle magazine, on newsstands on October 11th, and online at thetoyinsider.com. This year’s guide is the biggest ever, featuring more than 275 toys from more than 110 manufacturers. Parents and gift givers can easily search by a child’s age (broken out into 0-2, 3-5, 6-8 and 9+ age groups) and interests using the handy skill-development key.